So yeah, occasionally I have aches or pains or what have you, but I'm still only 34 until December. Why, pray tell, then, did I get this in my email? 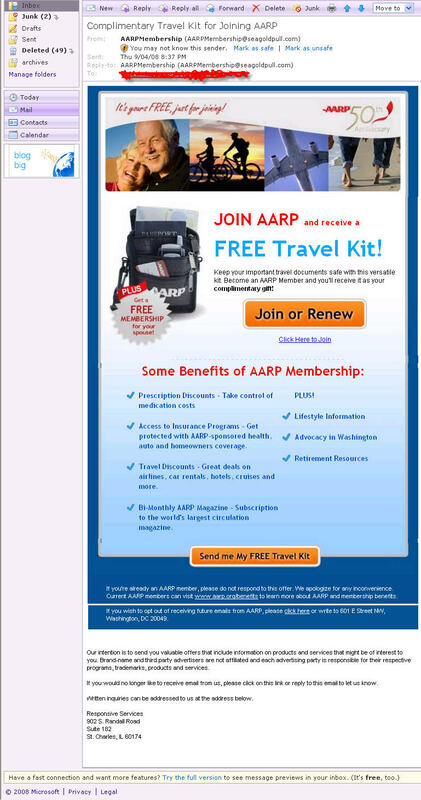 #aarp #how old am i? lol! I started getting those, and some kind of catalog of sr. assistance items, in my 20s. Haha, awesome! I could use that travel kit, maybe I need to sign up?